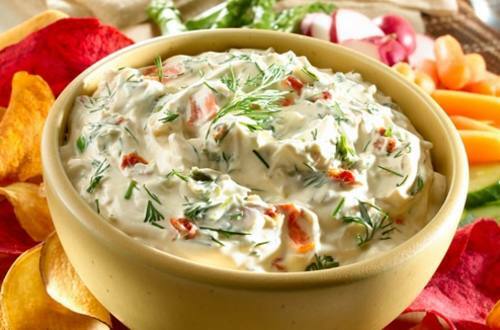 Invite friends over and impress them with our Creamy Dilled Vegetable Dip recipe. Delicious dill and vibrant veggies are infused with rich Dijon mustard to give you a dip you can feel good about eating. 1 Combine all ingredients in medium bowl. Cover and chill 2 hours to blend flavors. Stir before serving. Serve with your favorite dippers.